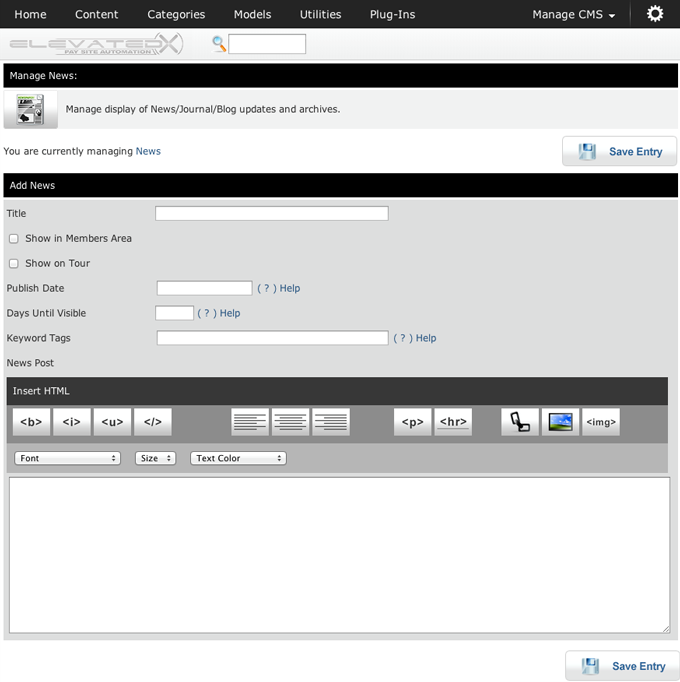 News items can be scheduled to release on a specific date or number of days if Timed Content Release System is in use. The news editor makes use of built-in HTML support which means you can paste pre-formatted HTML into the text field or make use of the included tag insertion feature to make your news entries more custom and dynamic. 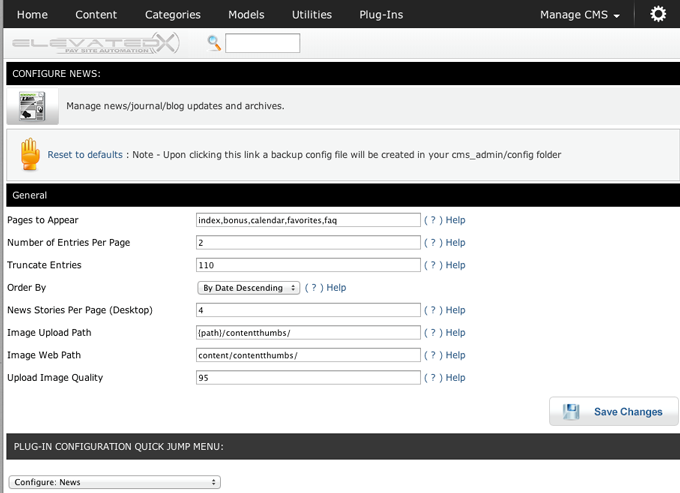 FYI - By customizing the Smarty templates, the news feature can easily be used as an internal blog creator.